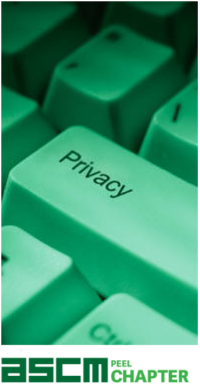 The APICS Peel Chapter shares your concerns about privacy and abides by the Personal Information Protection and Electronic Documents Act (PIPED). In maintaining membership records, containing information such as; name, address, telephone number, email address, fax number, professional designations, occupation, employer address and phone number, date joined, validity period, membership involvement preferences, seminar/meeting registration, attendance, and continuing professional education records, etc., we strive to maintain your privacy, while keeping you informed of chapter events and news, and promoting the opportunity to network with other individuals with a common interest in the society. Any activity deemed necessary for planning, support and management of chapter services. As with any Internet transmission that is not encrypted, the risk of disclosure to unintended third parties exists. Please be aware of this risk when providing information via unencrypted channels. APICS Peel Chapter reserves the right to perform statistical analyses of user behavior (on an aggregate basis) in order to measure interest in and use of the various areas of the Site. What Personal Information About Customers Does APICS Peel Chapter Gather? Chapter Mailing List: APICS Peel Chapter does not sell, distribute, or intentionally disclose the Chapter's mailing list to any third party. Chapter Email List: Subscription to this chapter-sponsored mailer list is voluntary when you subscribe to the website, and is not limited to members of APICS. The list of subscribers is not sold or disseminated in any manner. Members of the list are not intentionally disclosed when transmitting e-mailings. The list is solely for the purpose of informing members and non-members of upcoming events or chapter publications. Advertising is very strongly discouraged. Recruiting on the list is very strongly discouraged. Surveys: APICS Peel Chapter does gather information through online surveys and forms. We use this information to better adapt to the needs of membership and provide better quality services. E-mail Communications: : If you provide us an email address, we will periodically send you information about upcoming chapter events. You can stop these email notification at any time by updating My Profile on this web site. Cookies are alphanumeric identifiers that we transfer to your computer's hard drive through your Web browser to enable our systems to recognize you and your browser and to provide features such as streamlined registration for events. The Help portion of the toolbar on most browsers will tell you how to prevent your browser from accepting new cookies, how to have the browser notify you when you receive a new cookie, or how to disable cookies altogether. However, cookies allow you to take full advantage of some of APICS Peel Chapter's coolest features, and we recommend that you leave them turned on. Cookies are not required to use our web site to register for events. Does APICS Peel Chapter Share the Information It Receives? APICS Peel Chapter gives you access to a limited range of information about your profile and the events you have attended. This information can be accessed via My Profile.